It only happens once a year and its arrival is often bittersweet. Even though an hour of sunlight is gained, it comes at the cost of an hour of sleep. Finally, if you live in Arizona or Hawaii then you won’t observe it. What is it? If you answered Daylight Savings Time, then you’re correct. This year, Daylight Savings Time officially begins on Sunday March 13 at 2 a.m. At this time, the official time on clocks will be rolled forward one hour. Losing an hour of sleep can be fairly challenging. This is especially true for our elderly loved ones. Ultimately, the time/schedule change and loss of sleep can prove to be fatal. According to statistics, due to the loss of sleep and increased stress from exhaustion, automobile accidents and heart attacks increase in frequency during the days following the spring time change. These aren’t small increases either. Scientists have found that on the Monday after Daylight Savings Time begins heart attack rates increase by an astonishing 24 percent. 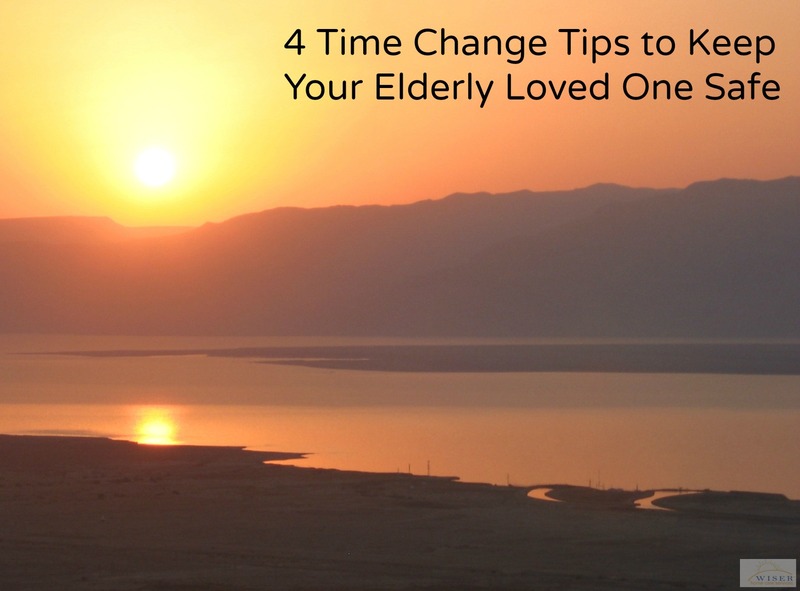 With these numbers in mind, we have compiled a list of tips to keep your elderly loved one safe and well rested during this year’s time change. Despite the time change, keeping your loved ones normal sleep schedule is important. It is recommended that they try to stay within 20 minutes of their pre-time change sleep routine. After a couple of weeks the body will adjust itself to the new hours. Make the change gradually to avoid any unnecessary risks due to exhaustion. Your elderly loved one may find themselves desiring more coffee to boost their energy during the time change. During the morning hours, caffeine is ok to consume but it should be ingested with caution. In the afternoon and evening your elderly loved one should refrain from caffeine and alcohol because these substances can inhibit healthy sleep patterns. Due to the lack of sunlight during winter, by the time Daylight Savings Time rolls around our bodies desire an ample amount of Vitamin D. A good way to do this, is opening up curtains and letting the sunlight in. If you have a chance to get outside, the sun will help increase your mood, Vitamin D and energy. Sunlight is also proven to help keep the bodies internal natural rhythm in check. In addition, having at least 30 minutes of physical activity during the day has been proven to help you sleep better. Finally, it is important to prepare for a good night of sleep. This means your elderly loved one should turn off electronics at least an hour before their normal bedtime. In the hour leading up to falling asleep, they should relax and read a book or take a bath. Their room should be clean, dark, quiet and cool to allow for a sound night of sleep.